No funny this week, I’m afraid. 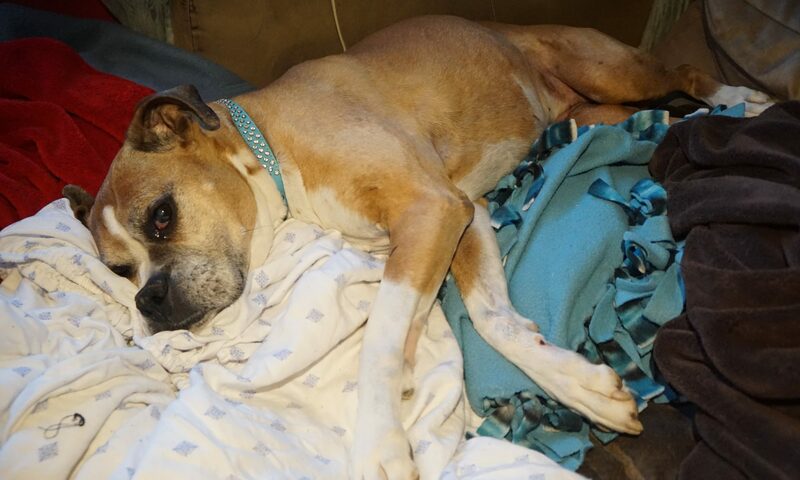 We got the news that Bayla — she’s the sleepy pooch up at the top of these pages — has a tumor in her abdomen that is doing nasty things to her insides. “You’ll know when it’s time,” the vet said, and that time will probably come within a week. I’d been planning to cool my heels in Arizona over the weekend, killing time (er, that was a poor choice of words) between a Volvo event at the end of last week and some classic car coverage on Monday. Instead, I drove home Friday evening to spend a day with my dog and my family before heading back to Phoenix. It’s a strange thing, knowing her days are numbered — and that it’s a rather low number at that. Here I am, mourning the loss of my beloved dog, except I haven’t lost her yet. I will, and probably soon, but I just don’t know when. Weird. It’s been about a decade since Bayla’s predecessor, another Boxer named Barkley, met her appointment with that great kennel in the sky. She had leukemia (and if you sense a pattern here, no, we don’t live on a toxic waste dump; Boxers are prone to cancer). Barkley came with my wife Robin; she was seven when I met her (er, Barkley that is, not Robin). She was 15 when she died. (Again, Barkley, not Robin.) When we had to take her to the vet to be put to sleep, I wailed so loudly that Robin said I was scaring the people in the waiting room. So — some time for family togetherness and dog pettingness. Funny will return before too long. I’ve got a knee-slapper about horse poo — I know, quality entertainment, right? — but it involves the dog and I just can’t go there yet.